More than 40 Nassau Republicans held a news conference to decry the state plan to charge extra to motorists who drive south of 60th Street in Manhattan, calling it an "unconscionable " tax on middle class workers. 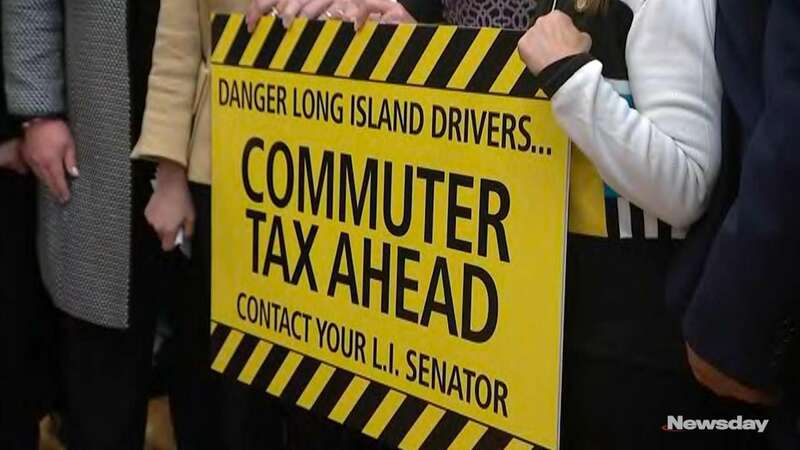 Nassau County Republicans on Thursday attacked Democrats for approving a state congestion pricing plan the GOP said would burden suburban drivers headed to Manhattan. Since Democrats took control of the state Legislature at the start of the year, "there is a tax frenzy going on," Nassau GOP chairman Joseph Cairo said at a news conference at party headquarters in Westbury. Cairo was flanked by more than 40 Republicans from across Nassau. Rep. Peter King (R-Seaford) called congestion pricing, "a direct assault on the suburban voters and the people of Nassau and Suffolk County, particularly Nassau County." Under the state "Central Business District Tolling" program, electronic devices located in Manhattan at 60th Street and below would automatically charge tolls to most motorists. A six-member Traffic Mobility Review Board will develop details of the plan, including fees and potential exemptions. The plan cannot start earlier than Dec. 31, 2020. King said Gov. Andrew M. Cuomo "tries to act as if only rich people drive into Manhattan." "I don't know what his world is. But the fact is, if you're a middle income person, you have to drive into the city, whether if you work, whether it's to go to a hospital … the fact is this is going to have a direct impact, a really unconscionable impact on the already overburdened taxpayers here in Nassau County." The Cuomo administration expects to raise $25 billion from congestion pricing, a mansion tax and internet sales taxes over five years. Under the state budget, 10 percent of that — $2.5 billion — would go to the Long Island Rail Road. Eighty percent would go to NYC Transit and 10 percent to Metro-North Railroad. Emergency and accessibility vehicles for people with disabilities are exempt from the tolls, and residents living within the central business district and making $60,000 or less would get an income tax credit. The West Side Highway and FDR Drive are exempt from the zone. Mike Murphy, a spokesman for the state Senate Democrats, criticized the Senate GOP for voting against the budget deal, which included a permanent property tax cap and aid to Long Island schools. "The Republican Party has been radicalized and unfortunately has followed Trump and his fellow DC extremists down the rabbit hole of lies and fake attacks," Murphy said. Last week, Long Island's six Democratic state senators held a news conference to tout their successes in the new budget. "For eight years, four election cycles, we heard from our friends on the Republican side that there would be calamity and catastrophe if the New York State Senate went to the Democrats in the majority," Nassau and state Democratic chairman Jay Jacobs said then. "All sorts of terrible things would happen, and of course we would be owned lock, stock and barrel by New York City, and so today we come here with less than 100 days from their coming into office, with the results." But Nassau County Legis. Richard Nicolello (R-New Hyde Park), the presiding officer, called congestion pricing, "a tax on working families who cannot afford it. This is a tax to fund a very expensive progressive agenda. 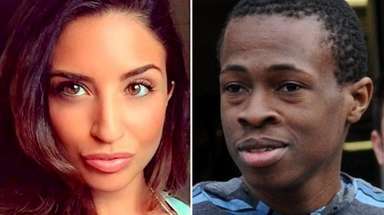 This is only the beginning," Nicolello said. Assemb. Missy Miller (R-Atlantic Beach), who said she drives her son to lower Manhattan for medical treatments, asked, "Why should parents and families, people who have sick loved ones and drive into Manhattan for their treatment, have to pay a tax in order to do so?"